What is body pH and why is it important? What are the effects of having an acidic pH? What are the benefits of having an alkaline pH? Acid-alkaline imbalances – what to do? Physicians for centuries have contributed good health and longevity with maintaining good digestion. Maintaining a normal range of body pH balance is an important factor for good health. Body pH is also known as the acid-base balance and refers to the regulation of hydrogen ions within the body fluid. pH range is 0-14 with 0 being completely acidic and 14 equalled to being alkaline. A normal range for the body is between 7.35 and 7.45. This is important to know because a value beyond this range one way or another can interfere with metabolic activities, affect the distribution of other ions and interfere with hormone balances. An internal environment that is excessively acidic over a long period of time may develop cardiovascular disease, diabetes, or even cancer. The acid/ alkaline levels were first discovered in 1909 by a Danish chemist by the name of Sorensen. The exact meaning of pH is disputed but roughly refers to the power or potential of the hydrogen ions per litre of solution. pH is influenced by temperature. The higher the temperature, the more acidic the solution becomes. 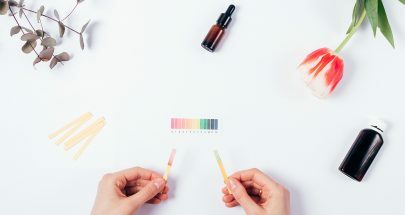 You can measure pH with litmus or any kind of universal indicator paper. We measure pH in plants and soil to ensure the plant receives enough nutrients. pH in natural water is neutral at 7.0. Most regular tap water is acidic due to the chemicals that are not filtered out completely. Acidity in wine gives it its tartness. Wine connoisseurs will say the wine will taste bright, fresh or crisp. These adjectives will be describing the amount of the acidity in the wine and not so much the flavour. Gastric acid in the stomach will help break down proteins. Stomach acid also helps prevent stomach infections by breaking down bacteria. Excess stomach acid may cause heartburn and GERD symptoms so a more alkaline diet is recommended to reduce the amount of acid in the stomach. If the opposite problem occurs and our body fluids are too basic or alkaline, neurons in the brain become more excitable and may cause seizures. Too much acidity and the person may feel lethargic and consciousness may decrease. Thankfully, we have buffers in our systems that help the pH return to normal when body fluids surpass a normal range. The buffer uses a weaker acid or base in an amount equivalent to the strong acid or base to replace it and bring the system back into balance. Pneumonia and emphysema- causes a decrease in gas exchange. Prolonged vomiting affects the gut health, the gut pH and makes the stomach and upper intestines more acidic. Prolonged diarrhoea causes the alkaline intestinal secretions to decrease, especially in infants. Diabetes mellitus sometimes causes fatty acids to convert to ketones, which makes the urine more acidic. First, let’s discuss the symptoms of too much body acid. This is also known as acidosis. There are two kinds, respiratory and metabolic. One of the most common signs that your body is too acidic is that your urine has a strong odour. You may also have heartburn, acid reflux, a metallic taste in the mouth, muscular pain and emotional symptoms of more PMS, panic attacks and generalized fatigue. Metabolic acidosis effects mainly affect the heart and blood vessels over time. This would include a narrowing of blood vessels which will cause the heart to pump harder and faster to pump the blood through your body. Respiratory Acidosis can occur from sleep apnoea, asthma, choking, COPD and starvation. The effects are decreased the amount of air going into the lungs which lower breathing rate and the amount of air being pumped out of the lungs in the form of carbon dioxide. This can also affect the heart by depressing the contractibility of the heart and also cause pressure on the skull by the brain from an increase in cranial blood flow. Symptoms of respiratory acidosis are confusion, headaches, easily fatigued, warm/flushed skin, wheezing and breathlessness. The bottom line is that too much acid in the body prevents it from detoxifying and is a breeding ground for disease. The scientist who discovered cancer cells is quoted saying that cancer and chronic disease cannot grow in an alkaline environment. Enough said! To measure your pH, you can buy pH tape. Test it with your saliva or with your urine. Urine is preferred to saliva because saliva is slightly more acidic. If you will measure your urine, do it at your first urination in the morning when you get up. Remember, the normal about should be around 7.0 to 7.5. If your pH test came back below 7.0 here is where you will find the steps to neutralize the acid and bring your body back into balance. Just say to yourself a alkalize body is a happy body. The best way to balance your acid-base levels is with diet. If the diet doesn’t work, there are medications and you should see your doctor. In general, fruits and vegetables contribute to alkaline except for prunes, plums, and cranberries which are acidic. High-protein foods such as meat, fish, eggs, and cheese are acidic. Also, bread and cereals are acidic. Milk can fall into both categories depending on the type of milk but is generally considered to be alkaline. If you have an acid level below 7.0, then reduce or eliminate your consumption of meat, fish, chicken, eggs, shellfish, cheese, peanut butter, and peanuts. Also reduce intake of bacon, nuts, all types of bread, (especially whole wheat), cereal, crackers, macaroni, spaghetti, noodles, and rice. Corn and lentils may contribute to an acidic environment. If you have a base level above 7.5, then reduce or eliminate your consumption of milk and milk products, cream, nuts, almonds, beets, dandelion greens, mustard greens, kale, molasses. Most vegetables are alkaline. You can increase your protein intake. Remember, the acid-base value is not about the food itself, it’s about how the body processes it once consumed. For example, tomatoes are an acidic fruit, however, the score 8.0 out of 10.0 on an alkalizing chart. Some of the most alkalizing foods are those you thought were acidic like spinach, green tea and even eggs are slightly alkalizing. The Paleo diet is another alternative for those who want to balance their acid-base health. This is great to improve bone health. Investing in alkaline water is another great way to reduce the acidity. The Microbiome diet focuses on creating an environment of good bacteria and microbes while eliminating the bad bacteria, parasites and other toxins that cause imbalance and inflammation. This is great for leaky gut syndrome and autoimmune disease like Hashimoto’s Thyroiditis. For people who suffer from serious conditions, the microbiome diet will help them identify triggers for their symptoms in the foods they eat. They will also learn that eliminating bacteria and toxins will also improve symptoms and in some cases reverse the disease. Some closing thoughts on acidic-base imbalances are that you generally crave a certain food your body needs. For junk food cravings, if you’re craving pizza then you want the acidity of the bread and the tomatoes which are acidic. If you crave dairy products, your body may be too acidic and it’s your body telling you to eat more alkaline foods. If you crave meat and nuts, you may be consuming too much dairy. Acid-base imbalances generally fluctuate and can be modified through diet unless you already have a chronic disease or imbalance where your body produces too much or too little acid. 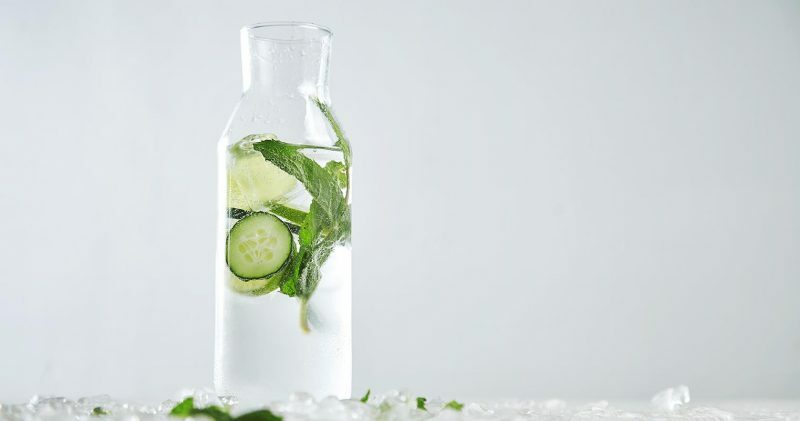 If you already have a chronic disease or cancer, being aware of your pH may help reduce symptoms, improve your energy level, and help you regulate your health a little easier. A change in perception is required sometimes to make the necessary changes. Most people will think negatively in terms of what foods they can no longer have. Instead, focus on selecting foods that will satisfy a function you need to be healthier. Make your grocery list in advance and add foods that will give you the function you need. You will be surprised that you can still have a satisfying meal and feel better at the same time. pH 5.5 is perceived to be the most suitable pH of skincare products. But is this value absolutely true for everyone with different skin types? Is this absolute value even "absolutely" true? Previous PostPrevious How To Consume Pineapples?